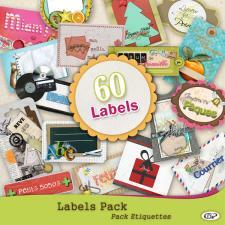 The labels can be used as embellishments. If you are using Studio-Scrap 4 or 5 you will be able to open the SCALB files as projects and modify them to your taste. 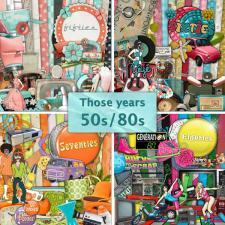 Also provided in Zip format to be changed with all photo softwares. Birthdays, Christmas... Let us put an end to standard gift labels, your guests, hosts, family and friends will appreciate this particular touch! Thanks to these lovely bottle labels, upgrade your gifts or decorate your table with elegance! or decorate your presents with customized labels. Home made jams , preserves and jars... for a well organized kitchen! 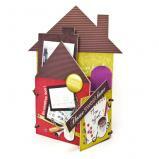 Thanks to our labels, you no longer need to open each box to know what's inside! Here are some labels to identify immediately the contents of the bills and registrations folders! 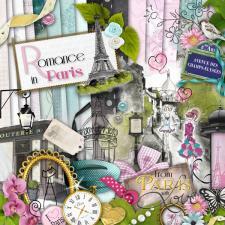 Add a romantic setting to your pictures with the digital kit "Romance in Paris". Travels, couples, families, garden, all those photo subjects will fit in nicely with our lovely feminine digital kit.